As this year’s Spring Break Celebrations reach their peak, many college kids are probably partaking in what they believe are the most epic vacations ever. However, history begs to differ, and I’ll explain why in today’s edition of Beyond Bones. Everybody needs a vacation every once in a while. The drive to get away from the rat race and relax a little is nothing new. In fact, ancient Romans were so desperate to get away they were willing to risk pirate attacks and dangerous storms to travel to far flung reaches of the empire, sometimes just to take a warm bath in a renowned spring. 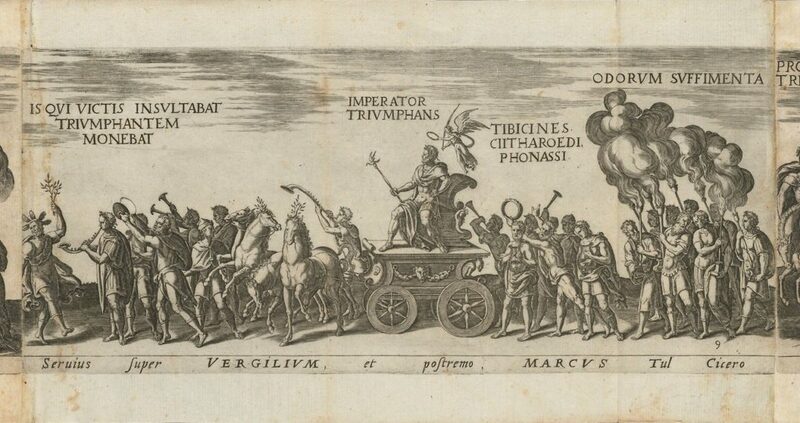 One of twelve engravings depicting Roman emperors from Amplissimi ornatissimiq[ue] triumphi, 1619, by Onofrio Panvinio (1529-1568). Source: Wikimedia Commons. Ever since there have been roads, people have been compelled to follow them to new and exotic places. I guess it’s just natural for us humans to feel that way. After all, we didn’t colonize every continent on Earth by staying put, did we? But it wasn’t only the search for food and arable land that lead our ancestors to wander. Tourism has been a thing for thousands of years. In fact, many of our best historical sources on life in the ancient world come from the journals of tourists! Herodotus, who traveled throughout Greece, the Middle East and Northern Africa during his lifetime wrote the first ever volume of World History based on knowledge he picked up during his travels, and although he may have exaggerated a few details, his work is still referenced by scholars today. 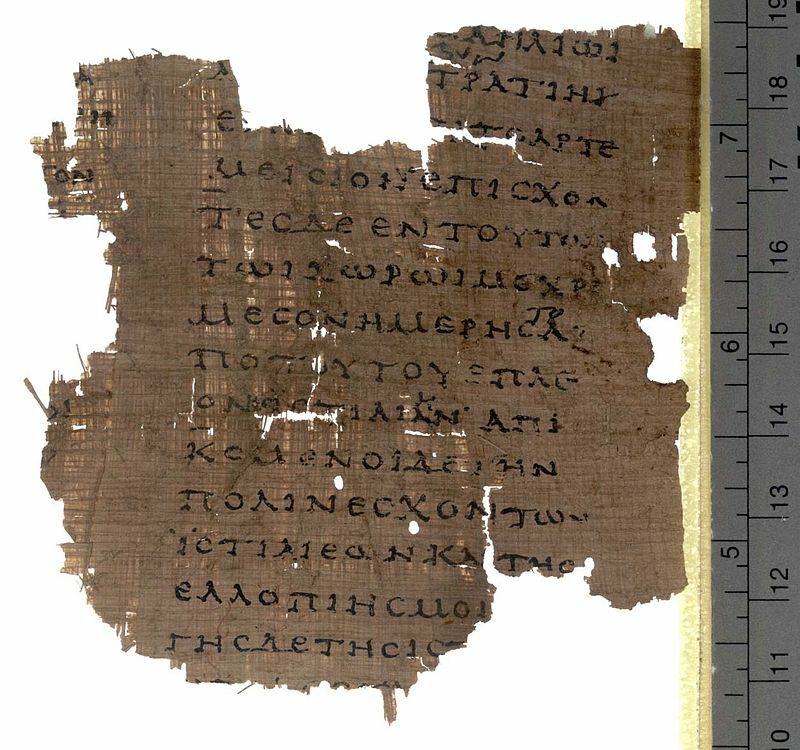 Fragment from Herodotus‘ Histories, Book VIII on Papyrus Oxyrhynchus 2099, dated to early 2nd century AD. Source: Wikimedia Commons. So where did people go for vacation in ancient times? Egypt was one popular destination. Religious pilgrimages were an important motivator for travel to Egypt. The Romans worshipped many gods, some of them borrowed from other cultures. One of these borrowed deities was the Egyptian goddess Isis. Temples dedicated to Isis have been uncovered by archaeologists all throughout the Mediterranean world and as far north as Germany. I, Lucius Trebonius Oricula, was here. I, Gaius Numonius Vala, was here in the thirteenth consulship of the emperor Caesar, eight days before the Calends of April. Via Appia in Rome. 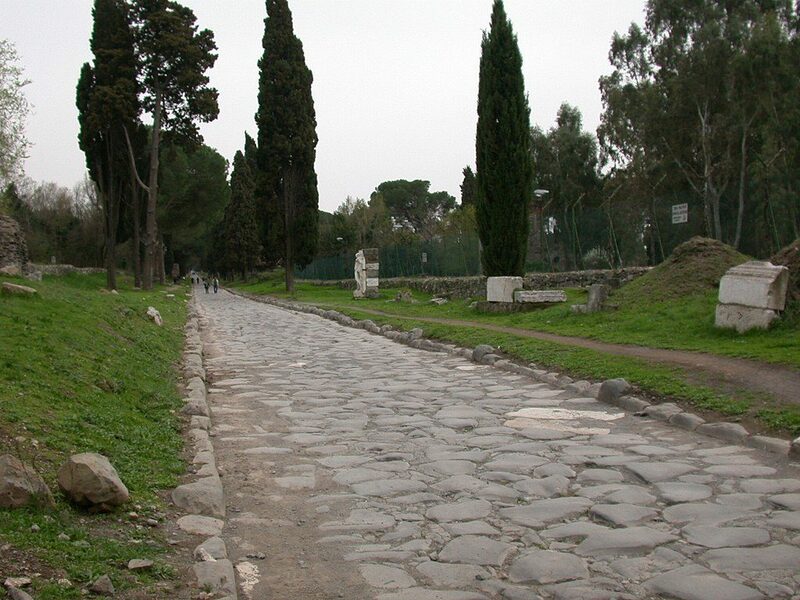 Roman roads like this one connected the world like never before. Source: Wikimedia Commons. But religion wasn’t the only reason people traveled. Sometimes just relaxing, having fun, or being rejuvenated were motivators. For example, the famous city of Bath, in England, welcomed visitors from as far away as Syria! Why were people so eager to travel to the harsh frontier of the Roman Empire? Health! The city was built around a famous hot spring that was believed to have healing properties. Facilities were built above these springs so that people could come and bathe and even enjoy a nice sauna. Well-being was a thing even in Ancient Rome. Of course it wasn’t all praying and healing. There are also references to lively activities being undertaken by ancient tourists, including rafting the Nile cataracts and watching the original Olympic games. Also, many planned their religious pilgrimages to coincide with festivals, and let me tell you, the ancients partied hard at these festivals. A notable example is the Tekh Festival in Ancient Egypt (also known as the feast of Drunkenness) during which participants celebrated the time beer saved the world by imbibing as much as they could. 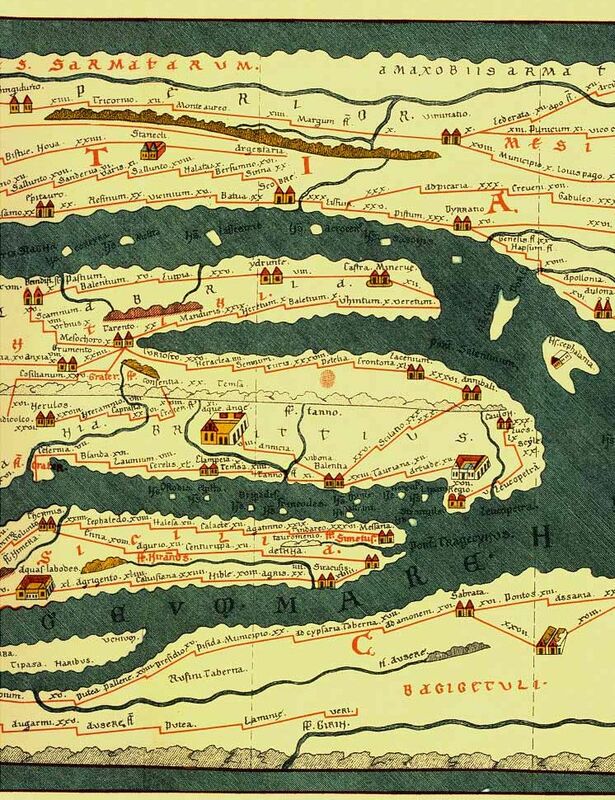 Tabula Peutingeriana depicted the Roman Empire and major roads around the year AD 70. If you’re wondering how people managed to get around so much 2,000 years before cars were invented, the answer is “with great difficulty”. Ancient journeys differed in many ways from travel today. For one, the quickest way to get anywhere was by water. Today, cruise ships are destinations in themselves, with tons of on board activities and luxuriously appointed rooms. But during antiquity travel by sea was basically the most miserable thing ever. First off, most boats had open decks. There were no cabins. So you baked under the sun all day and froze under the stars by night. Some travelers erected tents on deck. Very wealthy travelers could afford to buy passage on ships with cabins in the stern. Whether you could afford shelter or not, you were equally likely to drown during a surprise storm (no weather radar) or be murdered by pirates. 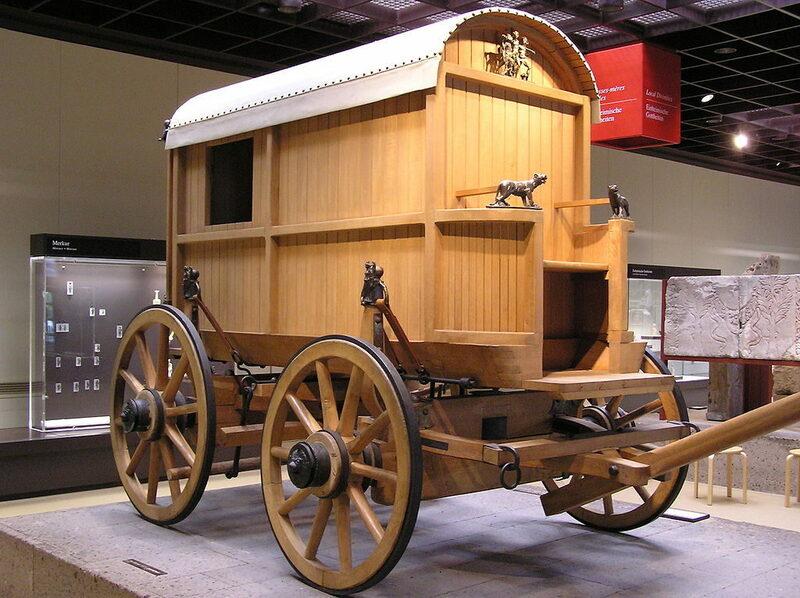 Roman carriage (reconstruction). Author: Nicolas von Kospoth (Triggerhappy). Source: Wikimedia Commons. Travel by road was somewhat safer (depending on where you were) but immensely slower and more expensive. Every road was a tollway, you had to pay to enter cities and if you didn’t have the coin, you got to camp out. Because of these tolls and fees, it was actually cheaper to take a boat most places. Also, most wagons had iron clad wheels and absolutely no suspension, so it was a bumpy ride. Rest stops were established approximately a day’s travel apart from each other. If you think the seedy truck stops of today are bad, they’re nothing compared to ancient rest stops, which were frequented by thieves and prostitutes. Of course, there are as many similarities as their are differences between ancient and modern travel. Although we no longer have to worry about pirates, our issues with over-priced airfare mirror the expensive tolls in antiquity. And of course the crazy drinking binges under the guise of “cultural experience” such as Tekh Festival have their modern analogues as well. All said, I think we can agree that nobody’s Spring Break vacation is as epic as the ancients’. I hope you enjoyed this little trip into the past. If you liked it, be sure to check out our other content. And if you’re looking for a place to travel to this Spring Break, consider visiting the Houston Museum of Natural Science. Our exhibit halls are full of Ancient wonders and there’s a park right across the street, so you can get cultured and run wild all in one trip.